Welcome to the home of the original Slumber Party Hostel! 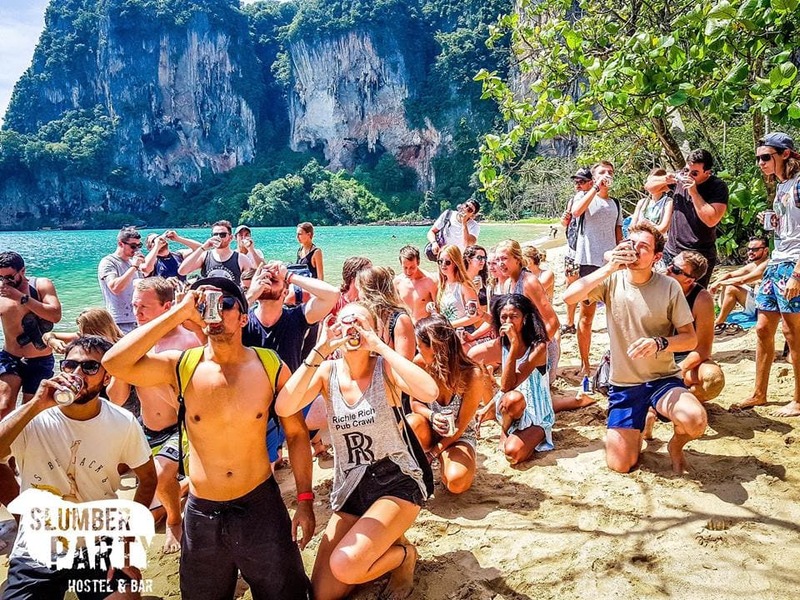 We’re the birthplace of the (in)famous Krabi Pub Crawl, countless amazing tours, and the best parties in all of Thailand. The funny thing? Our building was once home to a brothel—and things haven’t changed too much! 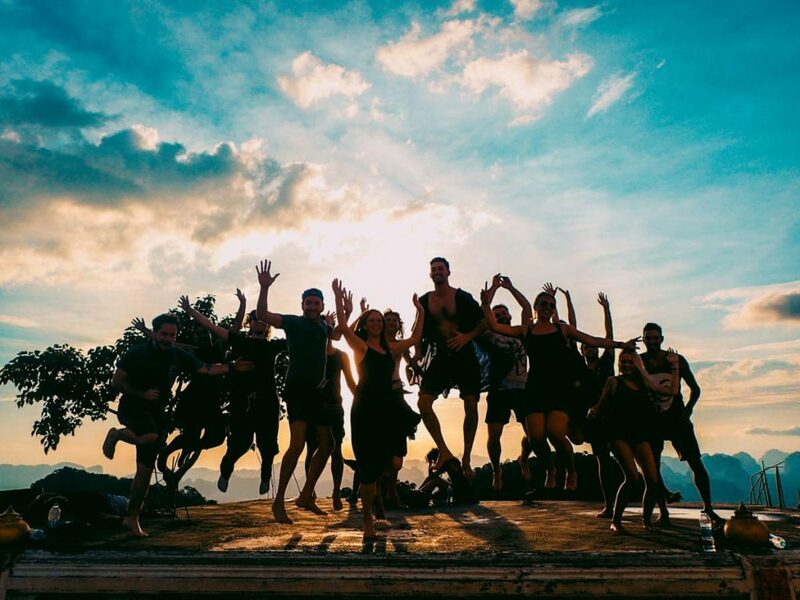 Regardless of why they’re traveling, people come here for one reason: to make friends and party hard. We’ve built quite a reputation here in Ao Nang & Krabi. That’s why strangers who made the poor decision to stay at another hostel always end up drinking with us. Book now so you don’t make the same mistake! Always looking for an excuse to party. Accepting of other cultures. Able to nurse a hangover. The proud owner of a liver of steel. Not to brag, but Slumber Party Hostel Krabi is the place to be in Ao Nang & Krabi. 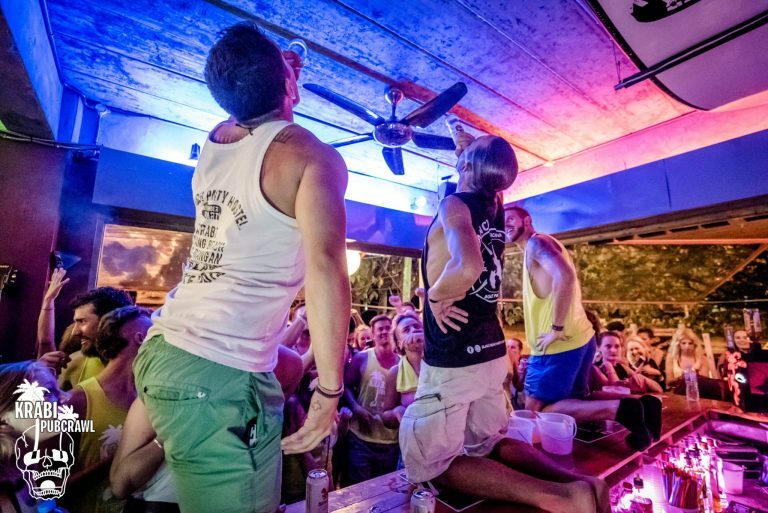 It’s the kickoff point for every nightly event, including the Krabi Pub Crawl. Housing over 60 guests, all of our dorms offer pod-style bunk beds with curtains for maximum privacy. Aside from offering the best parties in Thailand, we’ve invested in environmentally-friendly AC units and lights. We also provide the highest quality pillows, blankets, and mattresses. Partying hard doesn’t mean we can’t make Slumber feel like home! Ready to cruise the beautiful Andaman sea, drink Thai beers, explore stunning caves, and visit our “secret swimming spot”? Then Join Us on the ISLAND AWESOMENESS Tour, the Best Island Tour in Krabi! Explore one of Nong Thale’s best kept secrets. 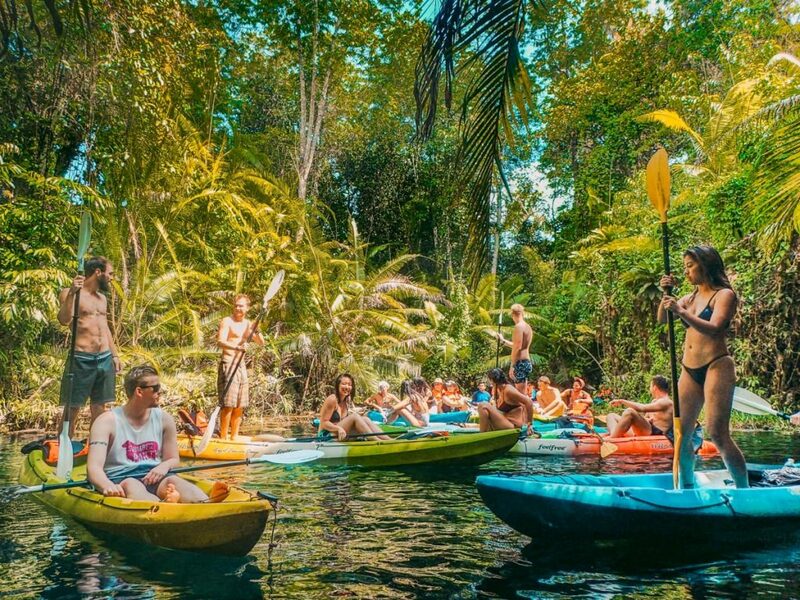 Spend the afternoon kayaking through a natural spring fed flooded forest, surrounded by a stunning mountains. By far one of our favourite spots in Thailand! Time get away from the beaches. 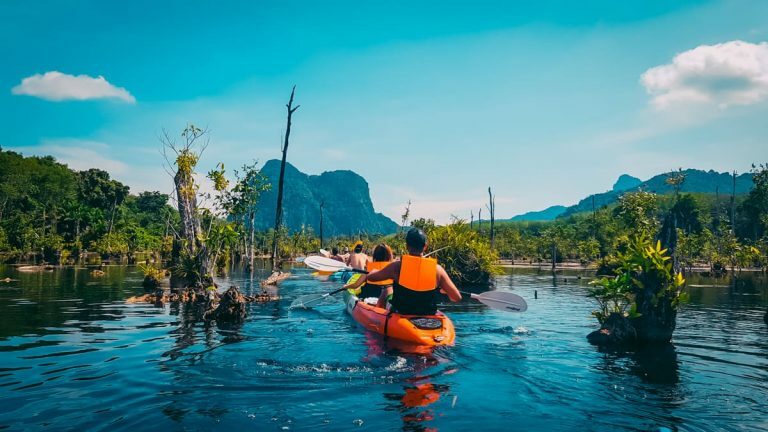 Join us as we explore the inland wonders of Krabi. Emerald Pools, Hot Spring Water Falls, epic hike & views from the top of Tiger Cave Temple, topped of with local snacks at the Night Market. You know the drill. We hit 4 bars and we hit them hard! The party starts at Slumber Party Hostel where we kick of the night with drinking games and madness. Then we hit the town for the best Ao Nang has to offer!